Same issues as other reviews. App doesn’t works. I’ve logged in before and now I can’t. No matter what I do it doesn’t work and I can’t log in. When this loads it flips my iPhone time bar to the bottom, upside down. Although that goes back to the top when the app opens, when I'm scrolling down in an article the gray summary screen will pull UP, from the bottom. Screens will also randomly stop scrolling as though your finger weren't touching the screen, even though it is. This can be really frustrating. Also, if you accidentally bump the article left or right, the top half of the screen goes blank and you can now only read the article in the lower half. I also think this app doesn't show all of the actual WWD content. I used to have access to the print version and it had loads of pieces in there. This only seems to have about 15 articles a day and they aren't as good as the ones in the print. Really wish this app worked properly, or at all. I'm considering canceling my membership as I don't even want to read it - just makes me frustrated first thing in the morning. New issues do not download properly. Get stuck at either 1 or 98%. Please fix !!!!!! Issue with download. The app continues to freeze at 98%. When then trying to reopen the app, it crashes. Would be great if WWD would ever figure out how to improve its mobile app for iPad! If I could give it zero stars, I would. This is such a waste of money. I paid for a subscription specifically so I could read it on my iPad/iPhone, and I have not once been able to log in. Save yourself the money and don't bother. I emailed customer service and explained that it kept saying "system error; please try again later," and their response was that I could log in with my email and password or with my account number and zip code...I already tried that, that's why I sent an email in the first place!!! So I called customer service and was assured their technicians were hard at work trying to fix the issue, but they couldn't tell me when it would be fixed or even how long this had been an issue for them. WASTE OF TIME AND MONEY, CANCELING MY SUBSCRIPTION. 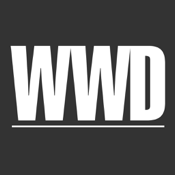 I just added WWD to my iPad and I just can't get enough! Love it!!!! I purchased this app in January and loved it! I don't know what happened but all of a sudden it would not let me access my subscription and NO ONE from WWD or iTunes could tell me how my account got lost and how to access it. I will get a refund but I still need this subscription so I will, very reluctantly, repurchase it. But if you can, it may be better to just get the actual physical subscription. Confusing, no search, PDF pages, TOC doesn't work. Whole thing is kind of a giant mess, which one wouldn't expect given the industry and design focus. An embarrassment of an App for such a respectable (former) daily newspaper...!!! This app is horrible! I purchased the subscription in March and have submitted multiple requests for help stating that the app doesn't recognize my login and only shows me the Wednesday issues for the entire. iTunes customer service told me my only recourse now is to ask my bank to get involved in getting a full refund since WWD support doesn't care to respond to my requests for help. HORRIBLE!!!! Don't by this app! Used to be great to read on iPad. Now like everyone else says the links to the web stories crash. If it can get fixed I'll up my rating based on the "print" version being good which I'm sure will continue with the weekly version. Finally!! 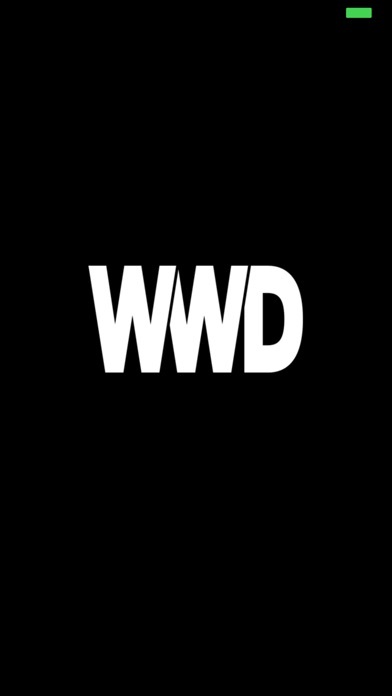 WWD launched its very first digital version of WWD!! Congrats! LOVE IT x 10k times!!! This has been the status quo for years. Completely unacceptable. The App doesn't seem to be working at all right now and it's been over 3 days. Who knows if it will ever be running again. I'm very disappointed. Works great on iPad w/os7. Once I updated this app, I can no longer log in with my school account. I tried to log in on my pc, and everything works fine. Please fix this update ASAP! Worked fine until recently when it started crashing. I can't read any articles in the app bc it will crash as soon as I click on the headline. Disappointed. Automatic downloads do not work, it crashes almost every time I open it, and its uses a HUGE amount of disk space (especially if you keep any back issues). But the *worst* problem with this app is that, despite paying for the digital subscription, I cannot access beyond the pay wall if I want to read WWD on the web. Awful! I'm considering canceling this iPad subscription. Too bad. Content and format is great, which makes the unreliable app so infuriating. Every morning I get my coffee, try to download the daily WWD, then scream obscenities at my lovely apple device. Crashing everyday all the sudden! Every time I click on an article it crashes and customer service hasn't responded for days! The quality of the images get worse with every issue. Please FIX! Crashes multiple times on opening, before it takes me to "automatic" download. Downloads only when I tap it, then progresses up to 99%, then goes backward to 98%, then freezes without any download. YES, I have auto-archive set up. Even this is useless, so I physically archive every single issue (if I'm lucky enough to successfully download it). I have to delete the app once every 2-3 weeks to even get a low rate of success with downloading. Customer service told me to set up Auto Archive, even after I already explicitly told them I had. Then told me that a new version was coming soon. When I enquired when this would be, they stopped answering my emails. Disgraceful to take our money and not deliver the product. The worst. I really want this to work after several years trying, but it's just the most horrendous excuse for an app ever. Crashes constantly, print version won't upload. Can't log in because it's an iTunes app. Just awful. Oh, and it's $127 a year subscription. Do I smell class action? This was not what I expected and cancelled the subscription via email within an hour of purchase. Made sure settings were set to not automatically re-subscribe every month and I am still being charged every month and haven't downloaded any. Don't subscribe unless you are sure you want this mag. I wasn't pleased that the paper edition was discontinued, but I accept it. It comes with the times. What I don't accept is that this app does not work properly. Most of the time, once I reach the screen with the list of articles, upon tapping on the article I wish to read, the app crashes. When I select any issue, the table of content only lists 3 articles! Awful! I've been reading WWD for many, many years, and was thrilled when this app came out - no more piles of papers to deal with. But this app is atrocious. It would be bad enough if it were just the auto download and archive features didn't work as promised - they never did - but since the last "update" it won't download at all. For your subscription price, you get the sidebar article teases, and the issue covers - that's it, no content, no full articles, no web access. Plenty of other publications have figured this technology model out, so I can only assume that WWD does not wish to be in this space at all. All digital subs from this point should be refunded immediately, and this app should be pulled - it is an embarrassment. This is the first review I have ever wrote and this app is worthy of the honor. I am a loyal WWD reader and this app does not allow me to think about retail news. Do not download or buy the online subscription. I wish I wouldn't have. This app is the worst even with the update. After subscribing for a year I've decided not to renew. The paper issues often don't arrive, which would be fine if the app worked consistently. Instead, photos fail to download, page scrolling is wonky, the app crashes, and it's just a mess. Love the content but I'm tired of the frustration. It's really too bad. I had issues logging in and I emailed for assistance and got a response within 24 hours. I can now log in and so far am very happy with the app version. I love WWD and avidly read it daily. Since renewing my subscription this year, I have not been able to successfully download an issue. It is very frustrating and if the app is not approved I would not recommend maintaining your subscription - especially if you are hoping to read it daily via the iPad app. Fix this app! Crashes whenever I try to download articles and the daily paper isn't downloading either - skipping days as well. Paid good money for a yearly subscription, to not be able to read it. This app needs to be FIXED NOW! The technical glitches are ridiculous! It's ironic that WWD touts 100 years in the app description because it only highlights just how much they are failing the embracing the future. I have been impressed with how other print publications have evolved to survive this digital age. This app has only hurt their brand. No automatic downloads Constant crashes Hugely expensive Tech support is ABSOLUTELY clueless I would give this ZERO stars if possible. For a company this large like Conde Nast you think a magazine app would be easy to create. Yes it's nice to read it like a newspaper but the app itself is deeply flawed and its a surprise and shame they haven't updated it so far....they obviously don't care too much about technology as the website isn't great either...typical fashion industry mentality. 1) the app is extremely slow. The download freezes at the 98% download mark every time I try to download an issue. I usually have to wait a good ten minutes to download a single issue and I have extremely fast Internet. 2) reading articles isn't easy. Zooming used to be much better but now it's hard to zoom then scroll around the page...again doesn't work. The biggest problem though is the downloads, it's ridiculous that its how it works. If they are going to take notes from another it's the NYT, a seamless app that delivers content almost instantly. Once shouldn't have to wait more then a couple sends for content download, if that. Technically it should be downloaded automatically so that when we open it we already have it downloaded on our iPads. WWD, step it up! I don't pay almost $200 a year for this kind of service!!!! Oct 19 2014. Haven't been able to read the paper into weeks. Hangs at 98 or 99% This is a persistent problem with this app. They have reported it as fixed but it is not. 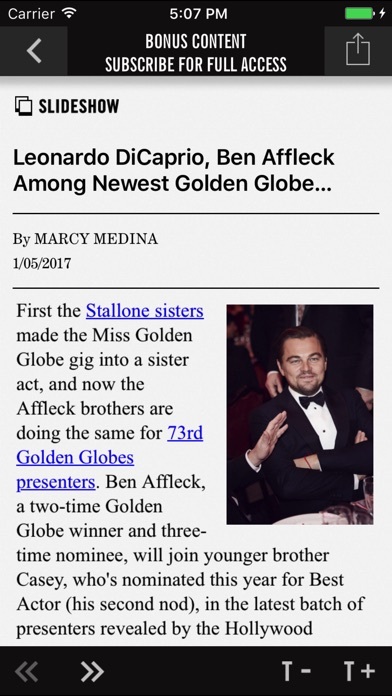 The app allows you to download the daily edition of the paper in a PDF form. The download is very very slow and often locks up at 98%. Love the content, but is it worth the trouble? The app is very disappointing. The update has now caused repeated crashes. Before the update, another limitation was lack of landscape mode. This situation is about to cause a subscription cancellation.